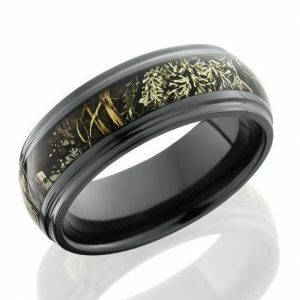 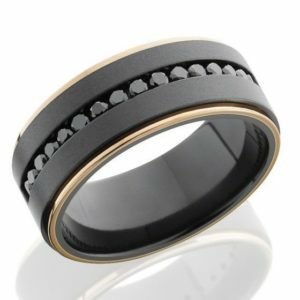 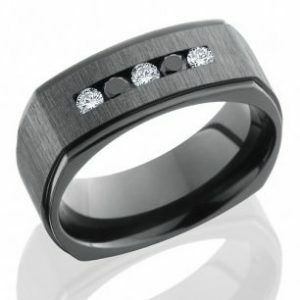 Black Zirconium rings have a deep black surface, the only truly durable black finish that is permanent. 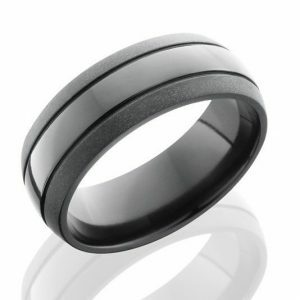 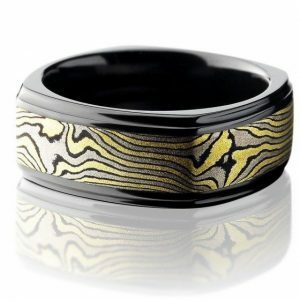 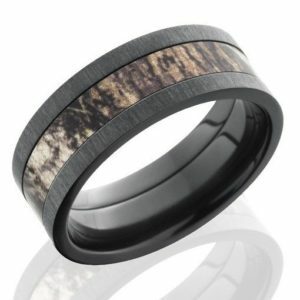 Other black rings usually use a surface oxidation process that will wear off over time. 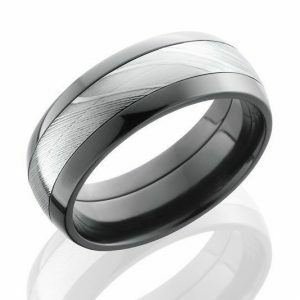 Zirconium is a silver/grey color in its natural state, but when heated, it produces a hard, black oxide layer that creates the perfect look for use in jewelry. 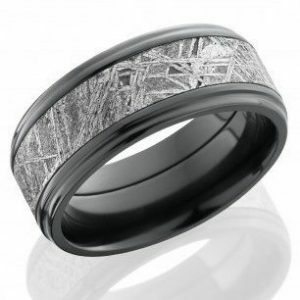 Zirconium alloys are also used in exotic commercial applications. 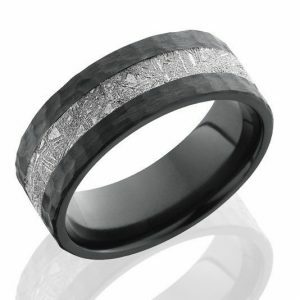 Black Zirconium Euro Sq. 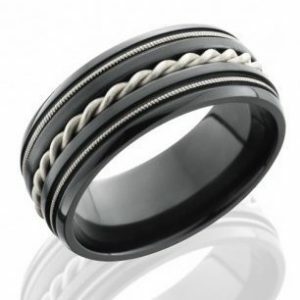 3 white-2 black dias. 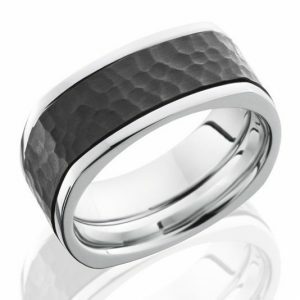 Black Zirconium Hammered Center Euro Sq.